ABS durable raw material at 2.5 mm thickness and 304 stainless steel and fine copper, safe and secure. 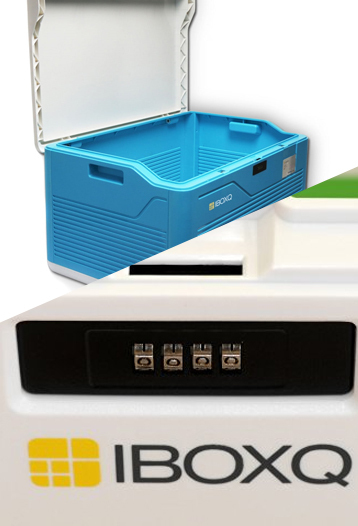 Lockable boxes with a four-digit combination code to securely lock items inside. A new patented product, unique and outstanding. Six parts to be assembled in an easy-to-follow sequence before use, transportation made convenient and low-cost. Product is made to last and bear heavy loads. Durable and robust. Product is designed to stack securely and efficiently. IBOXQ - Innovative design, best quality storage boxes. 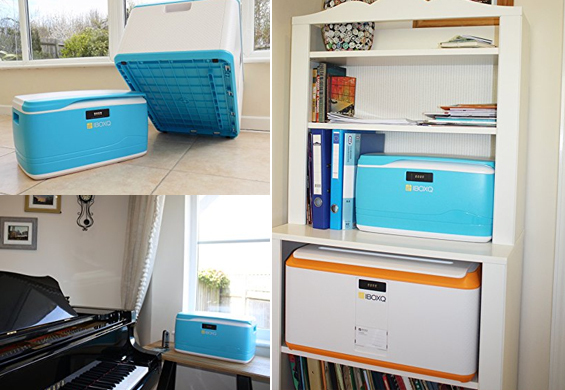 IBOXQ storage boxes can be widely used in homes, offices, clubs, schools, hospitals, institutes, museums, cars, etc. In every home and office we have things that we need to store. There is not always enough shelving or storage for our valuable belongings. We don't always want them to be displayed and sometimes we don't want them to be accessible to others. It is great if storage looks nice, is beautifully designed and at the same time durable and safe. * ABS is an opaque thermoplastic that possesses a diverse combination of properties. ABS is characterized by resistance to chemicals, heat and impact. Typical applications for ABS include appliance housings, luggage, camera bodies, power tool housings, battery cases, tool boxes, packing crates, radio cases and various furniture components. Strong and durable even at low temperatures, it offers good resistance to heat and chemicals. ABS can be used between −20 and 80 °C (−4 and 176 °F).